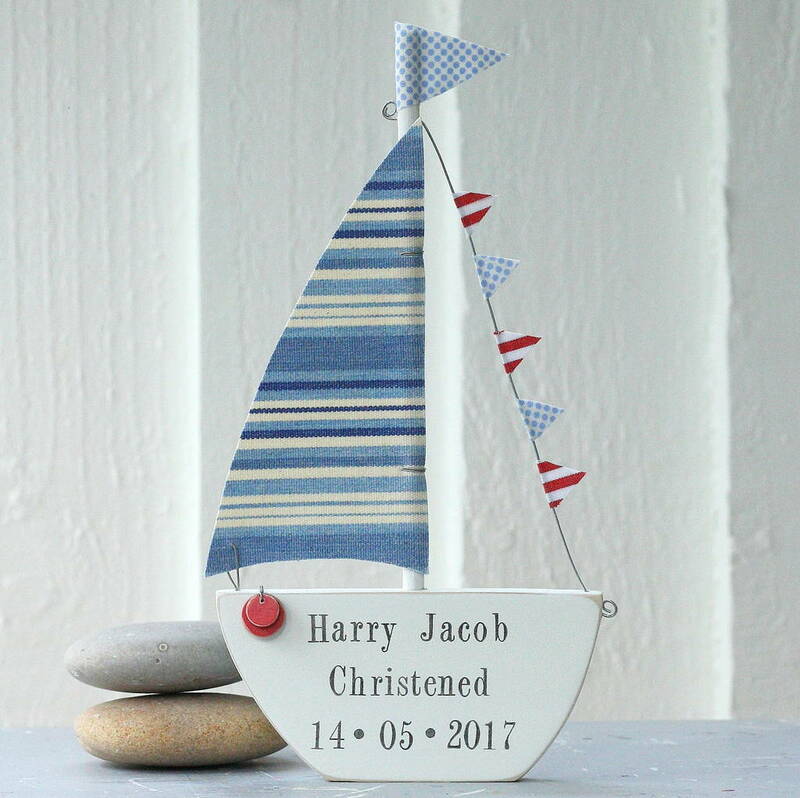 The most popular design from The Boat Yard! 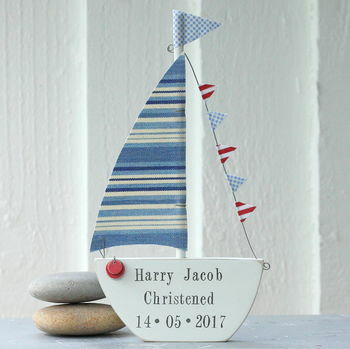 A perfect gift for a little sailor..........or seaside holiday memories. 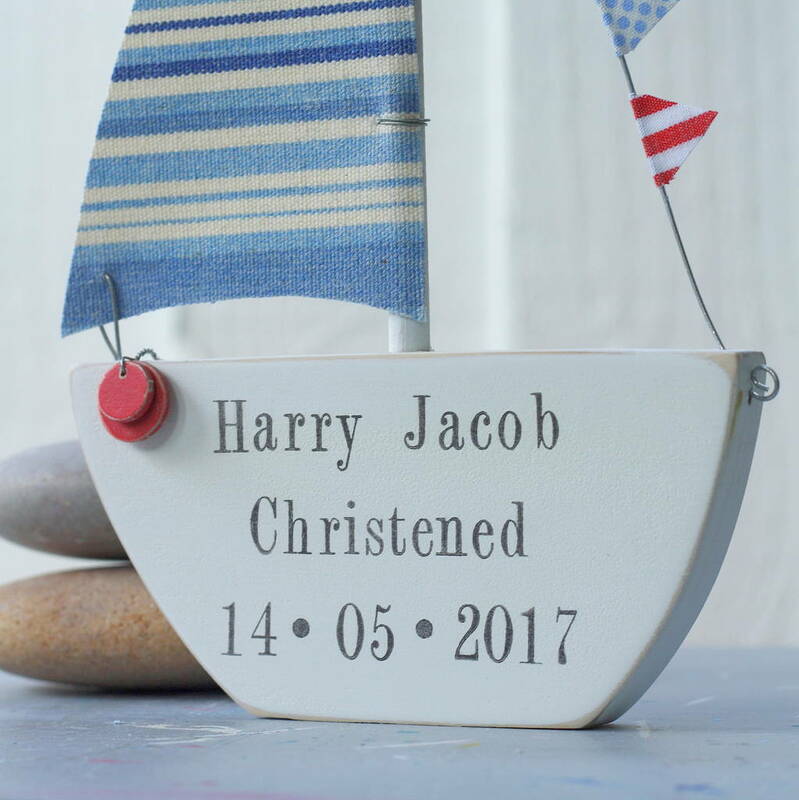 The boat can be personalised with up to 3 lines of hand stamped text in a dark charcoal grey ink, making this a suitable gift for a range of occasions: a new born, birthday or christenings. 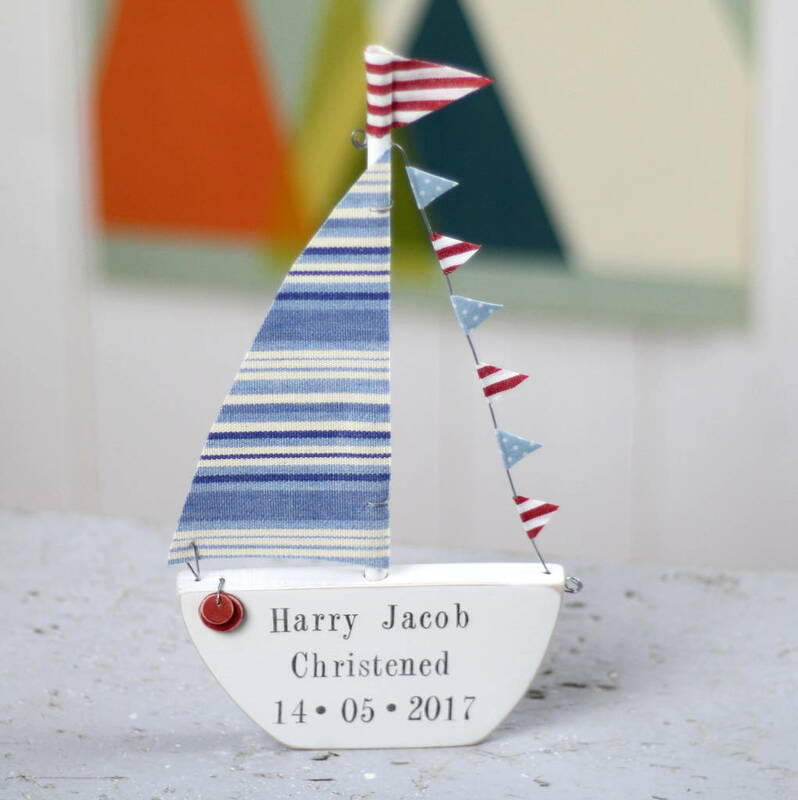 The fabric sail is a nautical blue multi stripe print with co-ordinating cotton fabric bunting which comes in a range of colour options. 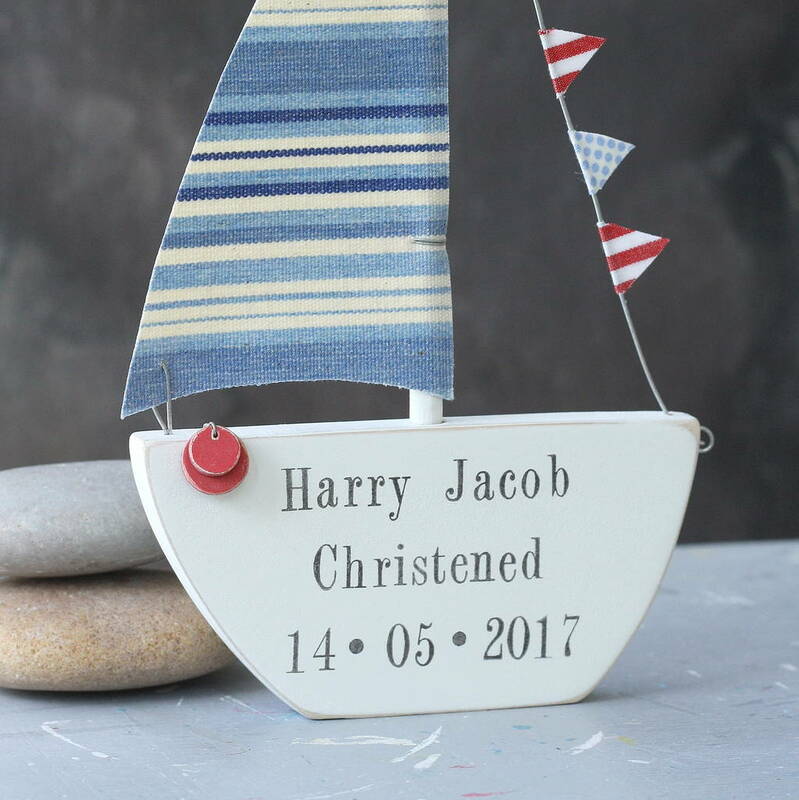 The wooden boat base and wave detail (optional) is handpainted, then carefully sanded to give the boat a distressed seaside look. 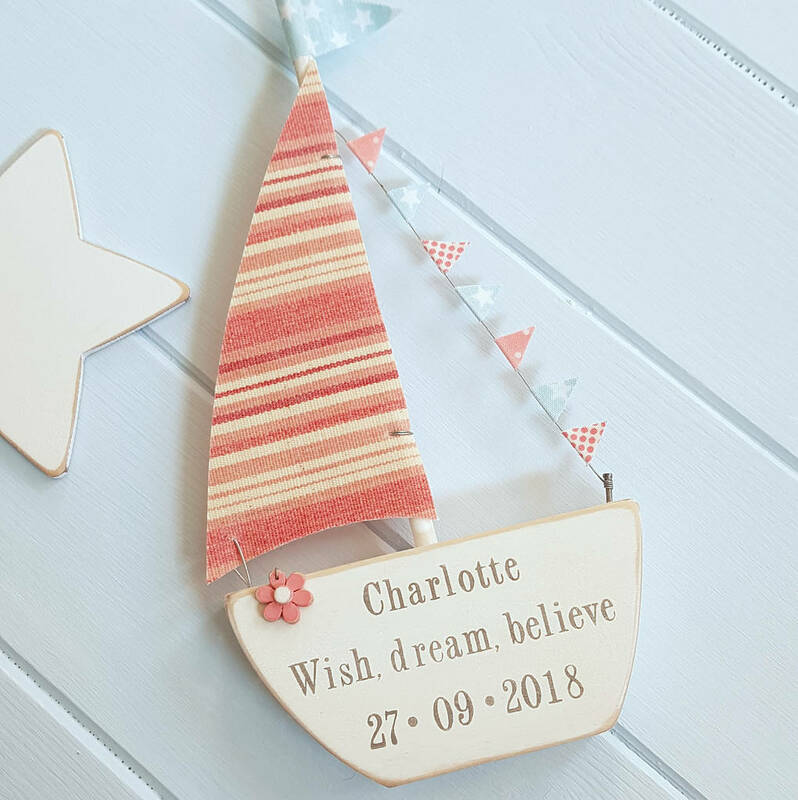 Two wooden painted buoys are attached to the front of the boat to complete the coastal look! 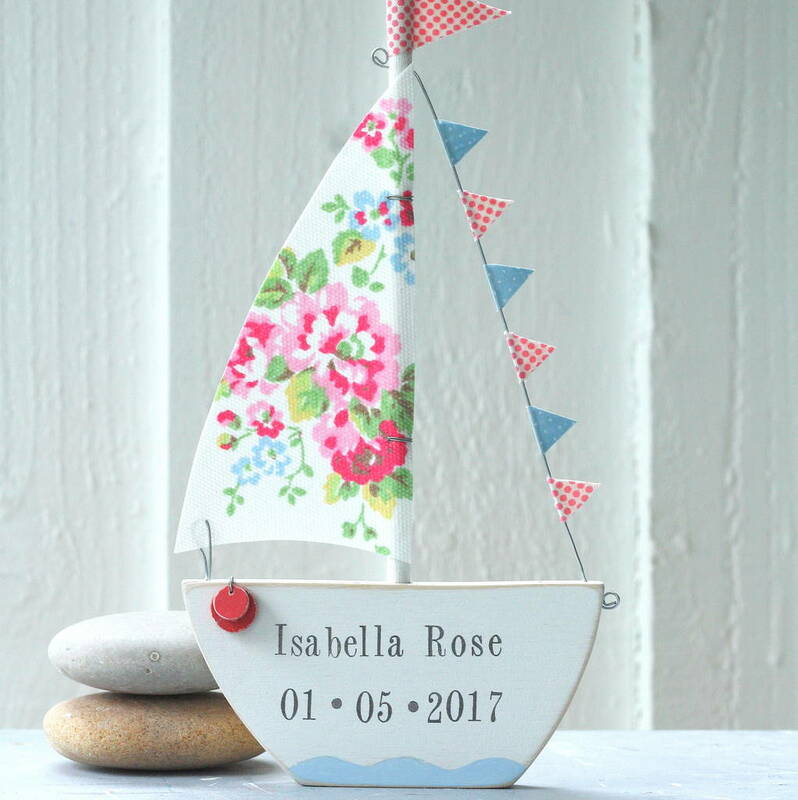 The boat base and wooden embellishments are made from sustainable birch plywood. I use a waterbased matt emulsion paint and finish the designs off with a coat of wax. 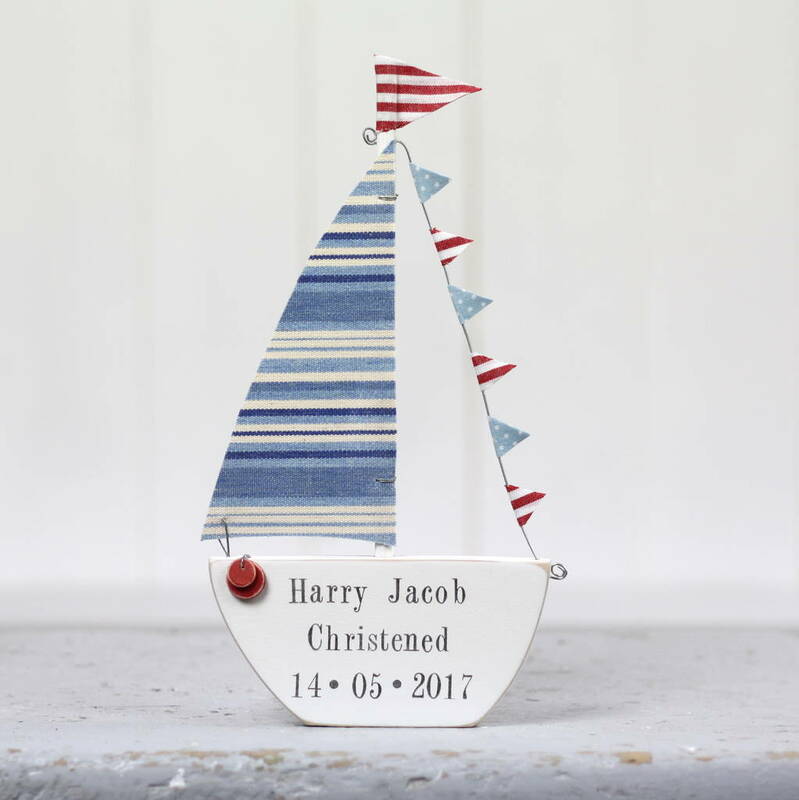 The bunting and flags are made using 100% cotton fabric. These are decorative items and not intended as toys. 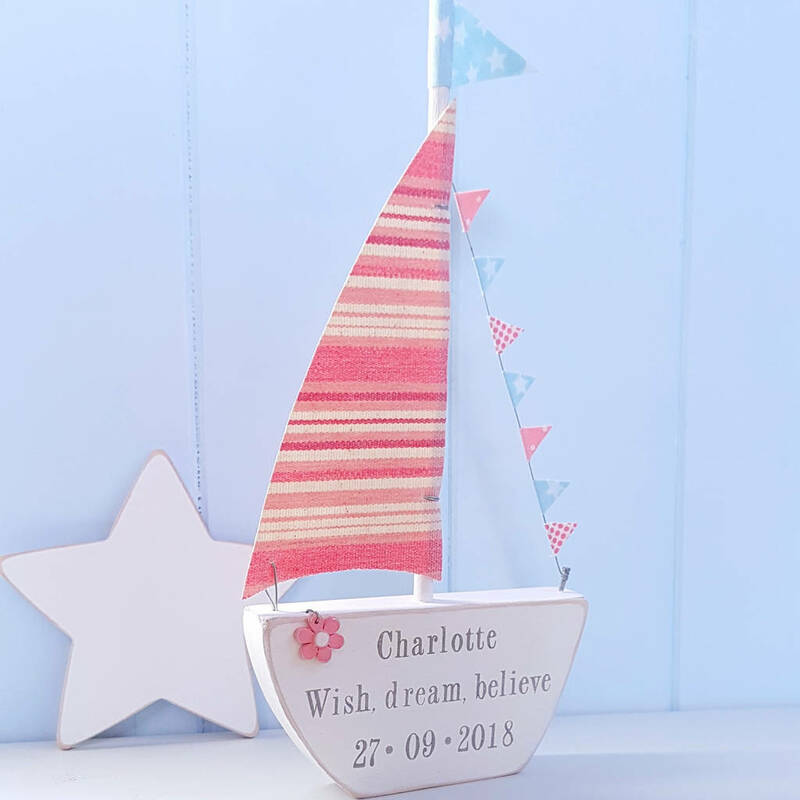 This product is dispatched to you by Rachel Pettitt Designs.